Implementation: The Caribbean island of Bonaire is located 80km north of the Venezuelan coast. Its energy transition began in 2004 after the island’s sole diesel power plant was destroyed by a fire. Instead of re-building it, the government decided to convert Bonaire’s electricity system to one based on 100% renewable energy sources. The decision was driven by several aspects. 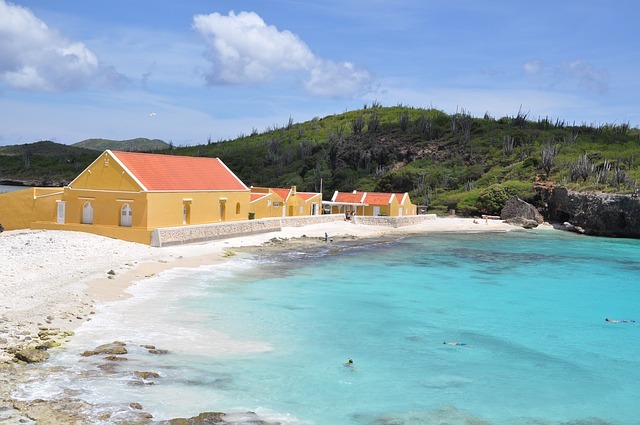 Bonaire has close ties to Europe (being a special municipality of The Netherlands) where the share of renewable sources of electricity has been increasingly expanding. Financial support for the transition would come from Dutch Rabobank. The complete destruction of the old electric system presented an opportunity to build something new and innovative. So, while rented diesel generators served as a temporary power supply, the Bonaire government and the local utility closely collaborated in the planning of the energy transition. In 2007, the consortium “EcoPower Bonaire BV” signed the contract with the government-owned Water and Energy Company Bonaire (WEB) to construct a new green energy system, including wind power and biodiesel from algae. In August 2010, the world’s largest hybrid wind-diesel power plant went online. 12 wind turbines with a total wind power capacity of 11MW constituted the first element of Bonaire’s new power generation system. The wind turbines only contributes around 33% to the annual required electricity demand, but at times of peak wind the turbines can cover about 90% of the demand. A 6MWh battery storage for surplus electricity makes the overall system more reliable as it is capable of balancing power fluctuations in times of low wind. When the wind drops the battery provides 3MW for two minutes, which allows enough time to start the 14MW diesel power plant. The diesel generators run with heavy fuel oil, light fuel oil and biodiesel. The next step for Bonaire is the large-scale production of biodiesel from algae, which is currently under development. Besides decreasing the reliance on fuel imports and the impacts of fuel price volatility, the economic benefit of Bonaire’s renewable energy system is expected to return US$15 million annually, from a total investment of $55-60 million, which will be partly compensated by carbon credits.